Today is my papa-san’s birthday, and he hasn’t been out of my thoughts all day long. He has never been out of my heart. 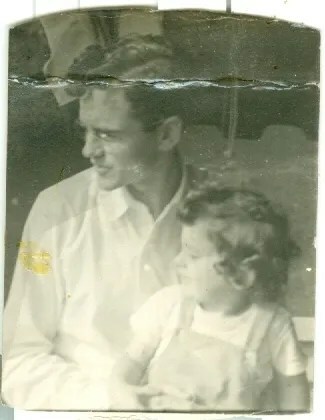 As far as I knew, there was only one photo of the two of us together when I was little, which is a very sad thing for me. There are lots more photos of him with my siblings; I don’t know why, but it’s how it is. So today I went searching through my mom’s old photo albums looking for more pictures. This is the only one that I knew about with just him and me together. My mom told me she took the photo because my profile was the same as my dad’s. I thought there was a bigger photo, but this was the only one I could find; I love it despite the crease in it. I was about a year old here, and we were living on Tantalus, high above Honolulu. Dad loved sailboats of all kinds; he would help people out by painting their boats for them. Somewhere there’s a photo of my brother and I with him, but I couldn’t find it today. 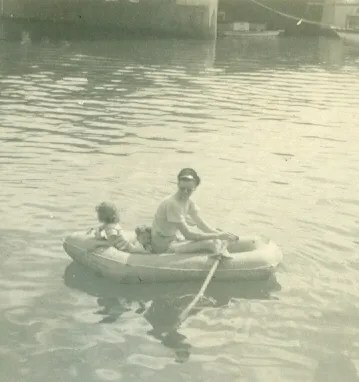 In this one, he’s rowing us around the Ala Wai Yacht Harbor… I think I’m about three here, and my brother, two. Obviously our mother wasn’t concerned about our not wearing lifejackets… we never did. And we never fell in, either. 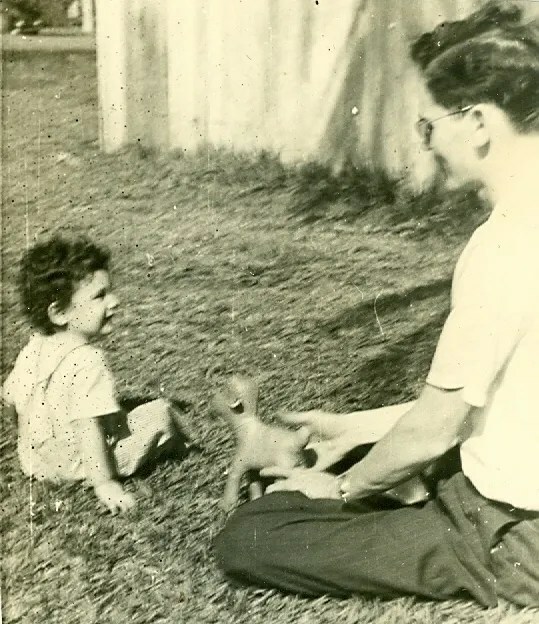 As I went through the albums, I was unbelievably happy to find one more photo of Papa-san and me. I never even knew it existed! Plenny wai maka to see it. I have his curly hair. I have his profile. I have his koko running through my veins. I have his vagabond spirit, his love of the sea, and his love for sailboats and old cars. My life was made richer because of this man I call Dad, and I only wish he could have stayed with us much longer than he did. I like to think that he would have been proud of the woman I grew up to be. Hauʻoli lā hānau, e Papa-san. I will never stop loving you. This entry was posted in 365 Days, Da Kine: Sometimes Full-on Pidgin, ʻOhana. Bookmark the permalink. Such a beautiful blog post, Mom. I am so glad you had these memories with him and I agree. He’d be proud of you – just like I am. Your papa-san’s love for you is so obvious, shining in his eyes. As Leilani says, I’m sure he knows, and I’m sure he’s proud of you.